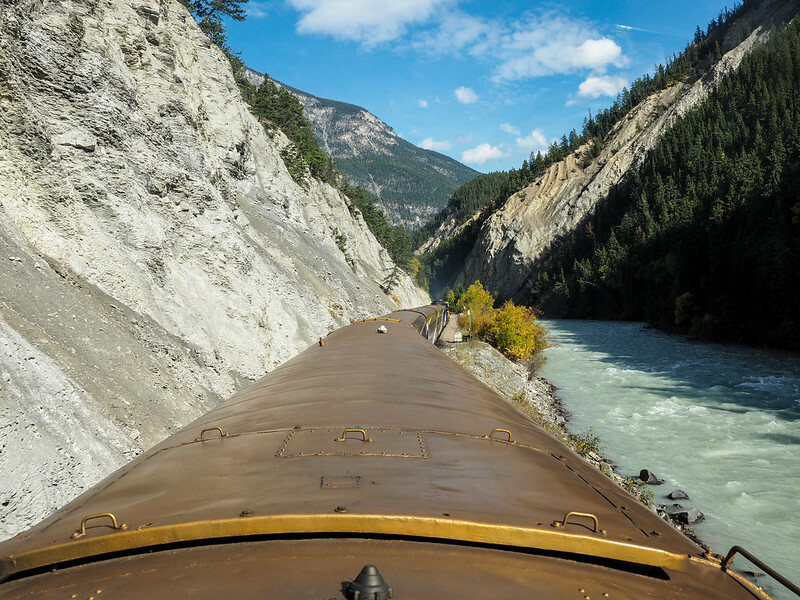 Riding the Rocky Mountaineer Train in Canada: What's It Like? 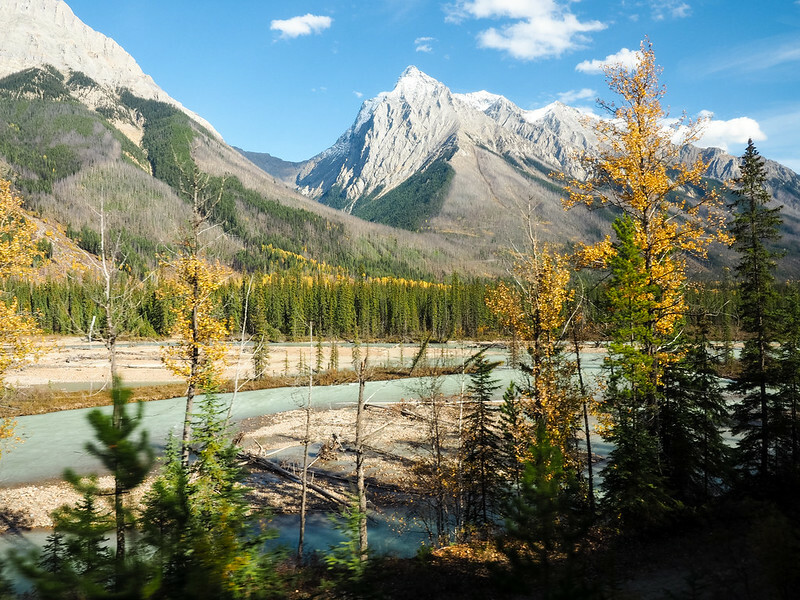 It was Day 2 of my journey into the Canadian Rockies aboard the Rocky Mountaineer; the last of two days, in fact, and thus far we hadn't seen a ton of wildlife. The scenery was enough for me, to be honest – but of course who doesn't want to see a bear? I never did see a bear. But the things I did see were still pretty awesome. After my journey on the Rocky Mountaineer, I got a lot of questions about the train ride in western Canada. And that's fair – it's a bucket list item for many people, but totally unfamiliar to others. I'll admit that I myself knew little about the Rocky Mountaineer before being invited to try it out for myself. All that I knew was that there was a train and mountains involved – two of my favorite things. 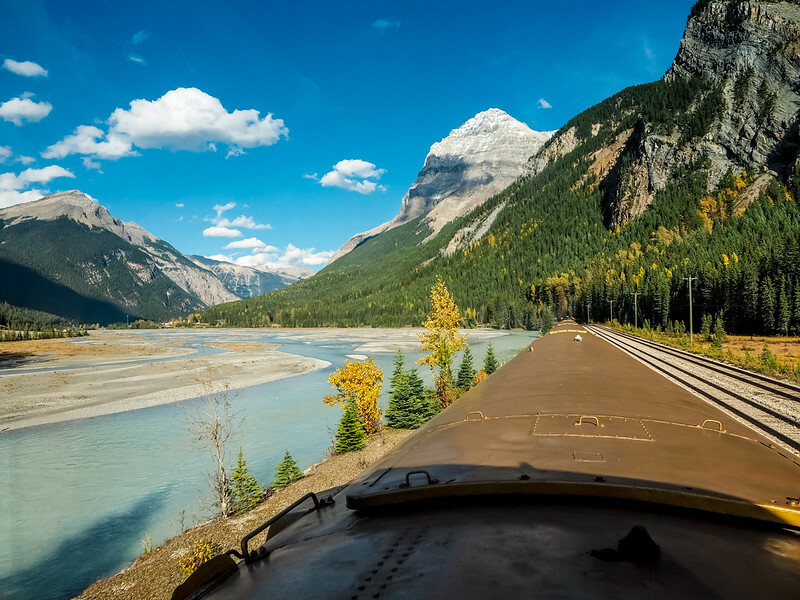 But now that I've traveled from Seattle to Lake Louise on the Rocky Mountaineer, I figured I would answer some of those burning questions of yours. 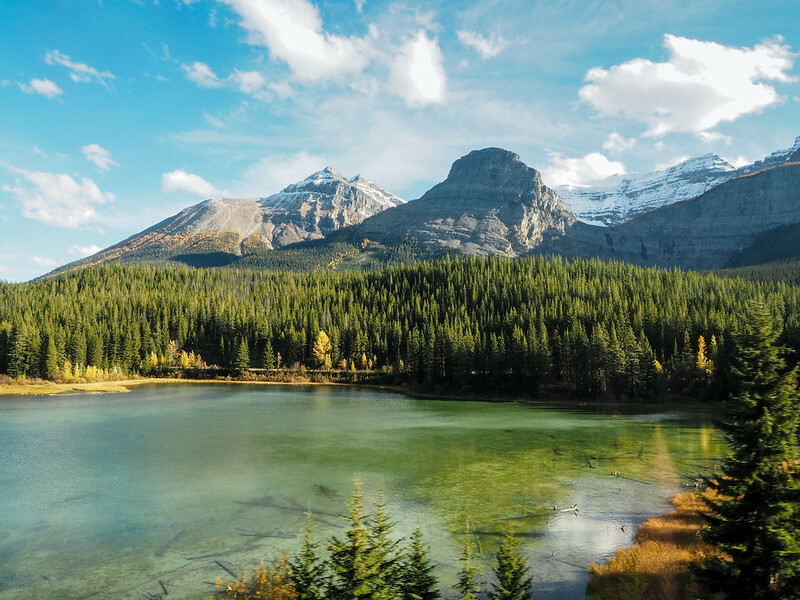 Rocky Mountaineer offers packages ranging from 4 to 19 days long, depending on the route and extras you want to throw in. 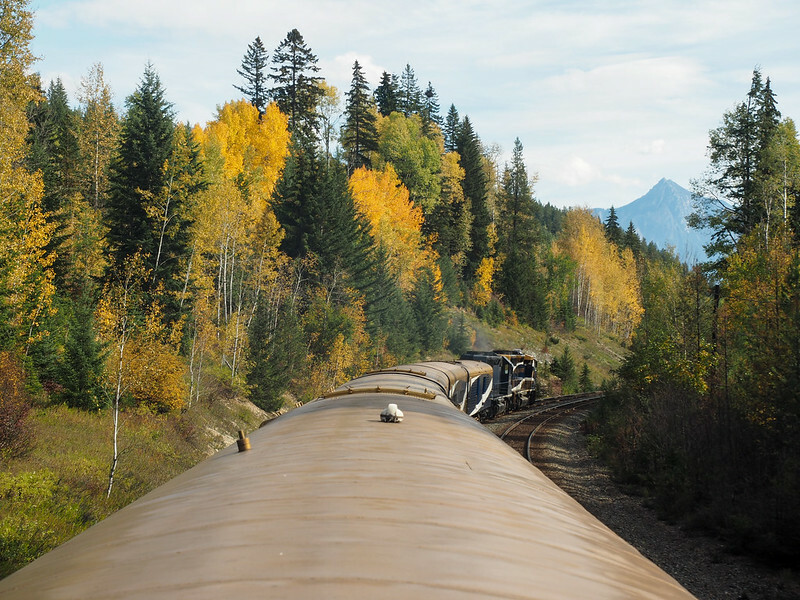 Most packages include 2 days at minimum onboard the Rocky Mountaineer train itself. My trip was 7 nights long, and I spent 3 days onboard the train. How does it work? Can you get off whenever? The Rocky Mountaineer is not like a regular train. It doesn't make stops throughout the day (unless it has to pause to let a freight train go by), and you can't hop off whenever you want. When you book your trip, you're booking an entire package – train ride, accommodation, and some additional activities. It's a full trip in and of itself. Do you sleep on the train? Nope! While the train is certainly comfortable enough for sleeping, there are no beds aboard. You travel on the train during the day, and then stay overnight at hotels (which are booked according to whatever package/service level you choose). What is the inside of the train like? 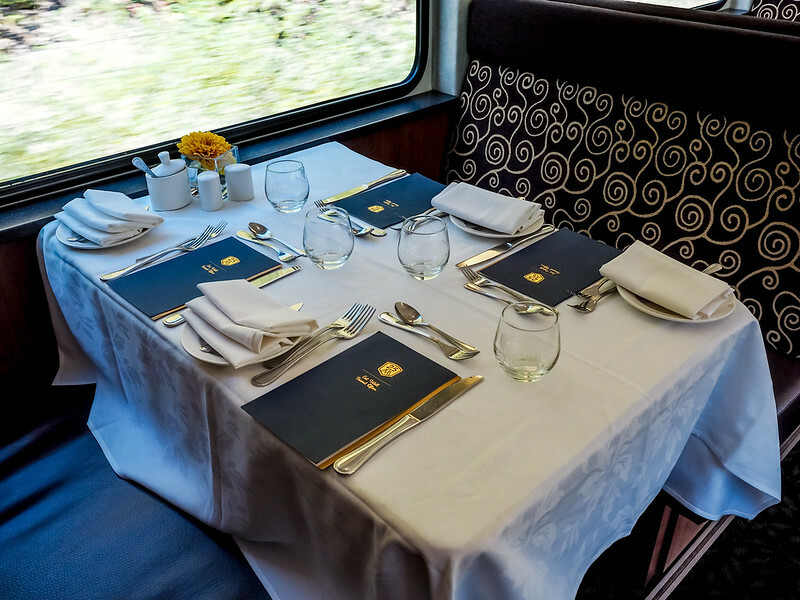 I was lucky enough to experience Rocky Mountaineer's Gold Leaf service, which meant a seriously fancy train car. 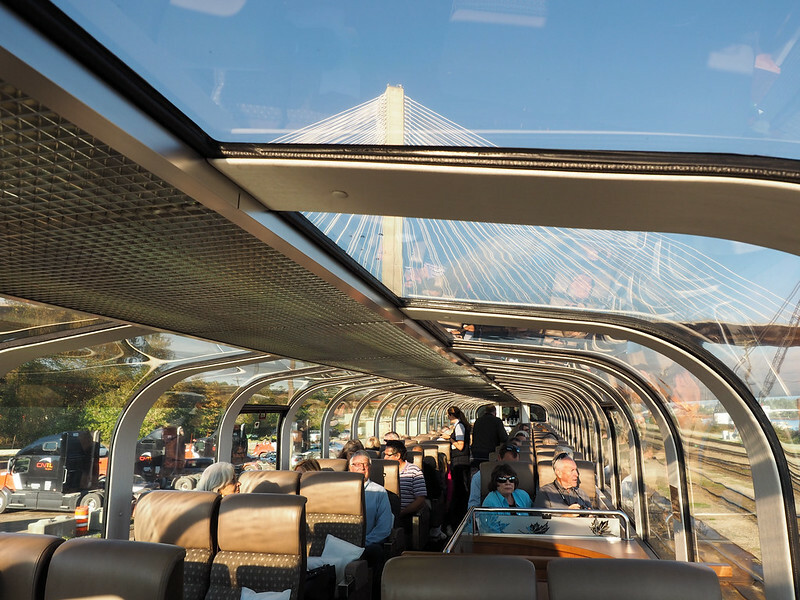 The Gold Leaf cars are double-decker, with a dining room, toilets, and outdoor vestibule on the lower level, and comfortable seats beneath a glass dome ceiling up top. Rocky Mountaineer pays a lot of attention to detail on their trains, and the staff does everything to make sure your journey is as comfortable as possible. This means offering you snacks and pillows, keeping the toilets impeccably clean, and I'm pretty sure even washing the windows at the end of each day. How did you take those pictures? The top question I've been getting when sharing my Rocky Mountaineer photos on Facebook and Instagram is “How did you take those pictures? Were you on top of the train?” And the answer is no, I didn't pull a James Bond and climb out on top of the train (even though that would have admittedly been pretty badass). The explanation is that I was in a double-decker train car with a glass dome up top, and I happened to be in the first dome car on the train, meaning I got that awesome view. How did I luck out to get in that particular car? I have no clue! I think it really was just luck. How is the food and how do meals work? On the Coastal Passage (Seattle to Vancouver), you get dinner onboard the train. For the ride into the Rockies (whether you're headed for Jasper of Banff), you get breakfast and lunch onboard each day. The dining room holds about half the passengers in each car, so you get divided into two dining groups. Don't worry though – if you're in the later dining group one day, you'll be in the early group the next (and you'll get snacks before both breakfast and lunch in case you get peckish). I was really impressed by what two chefs in a tiny train kitchen could make. 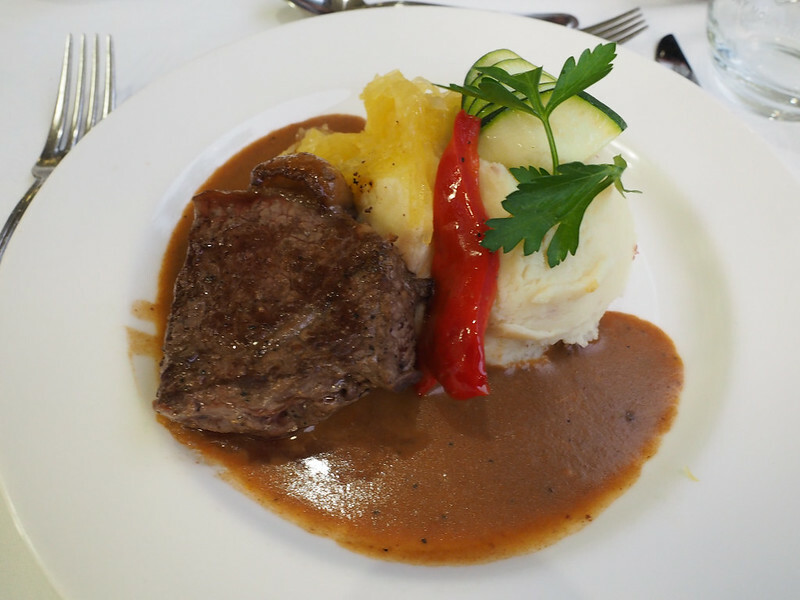 Both breakfast and lunch came with a full, multi-course menu – and the menus were different each day. I'm not really a foodie, but I thought the eggs Benedict was fantastic, and I enjoyed my two lunches and one dinner, too. All your meals onboard are included, and they also serve you as much coffee, soda, mixed drinks, and local Okanagan wine as you can drink in between meals. Just like on the river cruise I went on earlier this year, it appeared to be a mostly older crowd aboard the Rocky Mountaineer. I'd say the average passengers were couples around 50-60. But this didn't bother me a bit! I made friends with an Australian surgeon and a really nice couple from Canada. Believe it or not, the top country that Rocky Mountain passengers come from is Australia, followed by Canada and the US, according to our main host. What's it like for solo travelers? I can't speak for the rest of the train, but there were four solo travelers in my train car alone. We all actually had our own set of seats since the train wasn't packed, and were seated near the front of the car. I'm used to traveling solo, so it didn't bother me to be on my own here. In fact, I loved just being free to stare out the window or hang out on the outside vestibule as long as I wanted to. 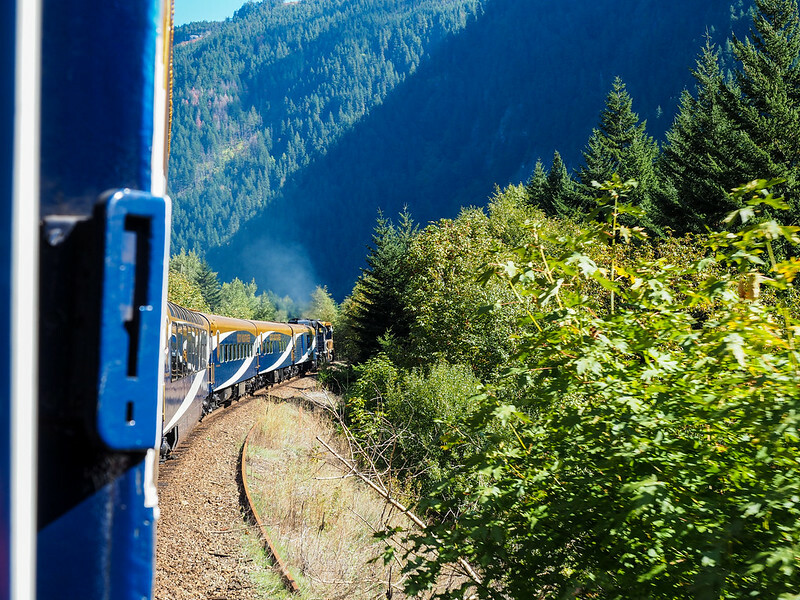 However, you do save money when booking as a couple as opposed to a solo traveler, because there appears to be a single supplement for all Rocky Mountaineer routes. You'll board the train early – usually between 7 and 8 a.m. (unless you're taking the Coastal Passage from Seattle to Vancouver, as this is an afternoon/evening train) and chug along at an average speed of about 35 miles per hour. You'll have breakfast, some snacks/coffee, enjoy the scenery and onboard commentary until lunch, and then have some more drinks and time for sightseeing/chatting. Most days, you'll spend at least 8-10 hours on the train, getting in to your overnight destination before dark. Ten hours sounds like a LONG time to be on one train, I know, but the time actually flew by for me! The scenery!! 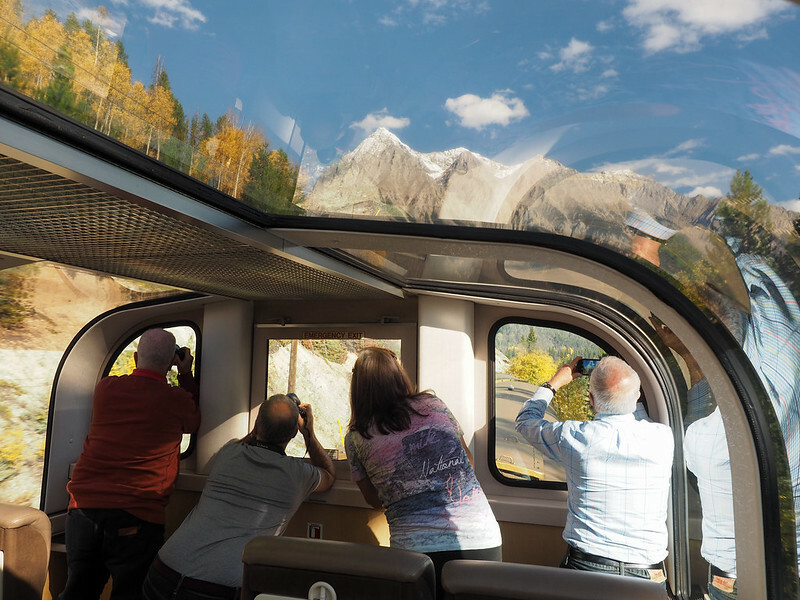 You don't book the Rocky Mountaineer for the speed; you book it for the incredible scenery that you'll see out those domed windows. 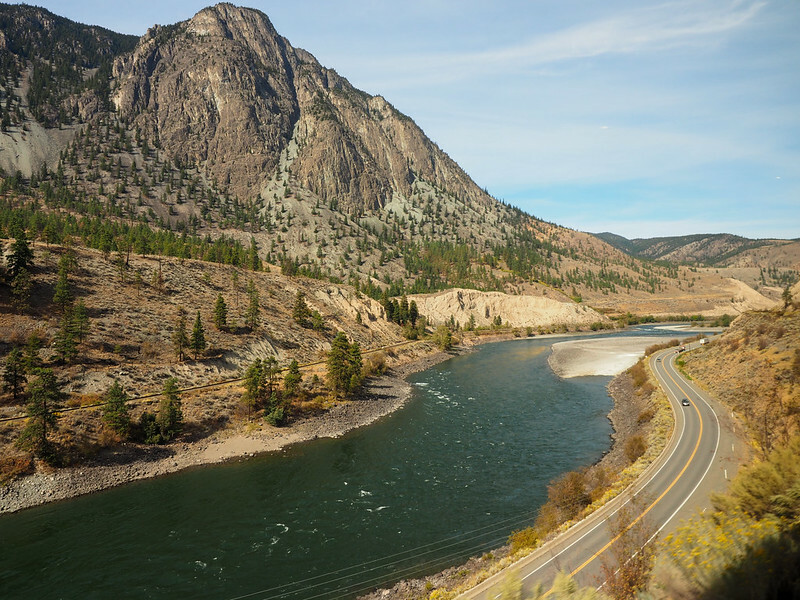 Some of my favorite parts were training through Fraser Canyon and along the Kicking Horse River on the “First Passage to the West” route. The train slows down to a crawl at some of the more scenic spots, like waterfalls and bridges, so you can get good photos. 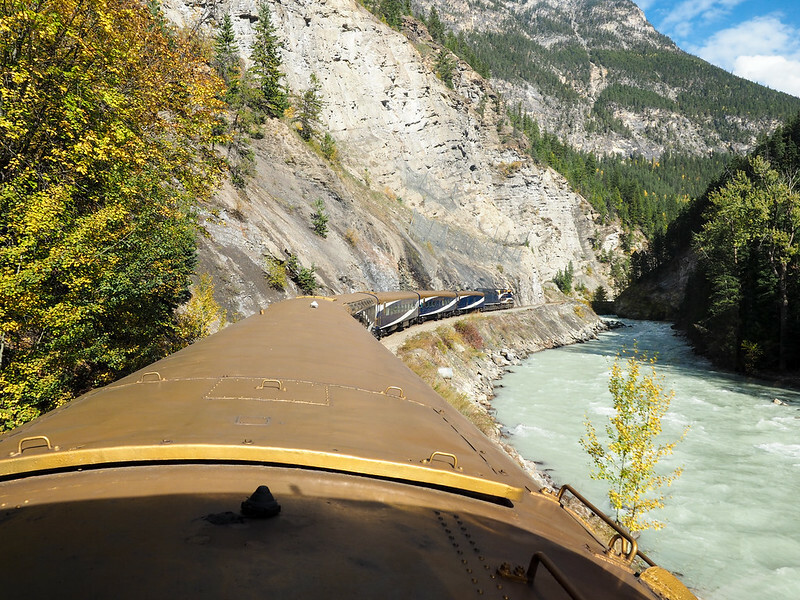 The Rocky Mountaineer only operates from April to October each year. This isn't actually because of snow/ice or anything like that in the winter – it's to ensure that you're enjoying the scenery during the daylight hours and not after dark. I went in late-September, and the fall colors were incredible along the way! As I mentioned before, the Rocky Mountaineer is a *luxury* train ride/vacation package. The prices, therefore, reflect this. Silver Leaf service on an itinerary similar to mine (7 nights from Seattle to the Rockies) starts around $4,000 per person. For what you pay, you actually get a lot. The price covers your train travel, all accommodation for the duration of your trip (and transport between the train station and said accommodation), meals while onboard the train, and often some activities like sightseeing in Vancouver, a post-trip land tour to Calgary, and even a helicopter ride in the mountains. Your accommodation options are based on the service level you choose when booking. 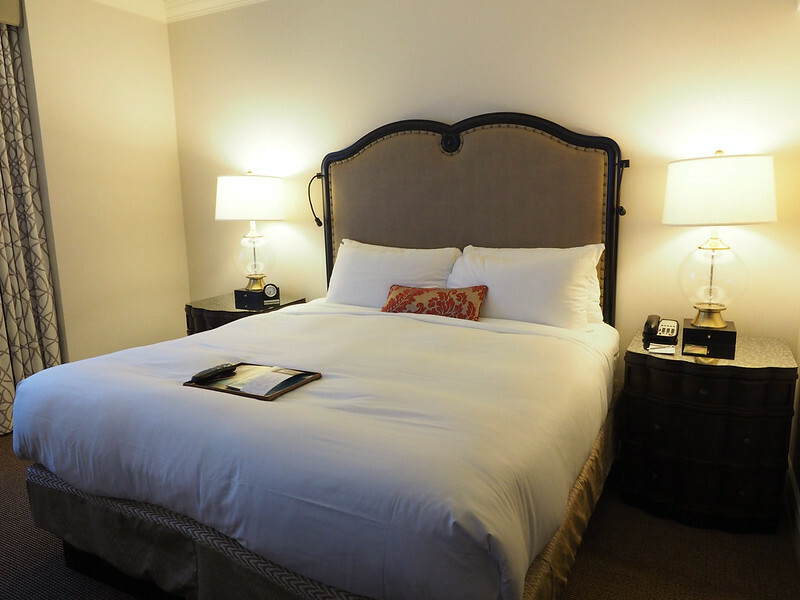 To give you a taste of what Gold Leaf service gets you, I stayed at the Fairmont Olympic in Seattle, the Fairmont Hotel Vancouver, Hotel Five-Forty in Kamloops, and the Fairmont Chateau Lake Louise. The Fairmonts are almost all historic railroad hotels, and are all absolutely gorgeous inside and out. What makes it worth the money? It's true that you could see the same scenery by driving yourself into the Rockies, or by taking a less expensive train journey. But I think what makes the Rocky Mountaineer worth the splurge is the service you get onboard. You get good food, good drinks, and fantastic, friendly service. The hosts in my car – three twenty-something Canadian girls – were bubbly and always up for a chat (or impromptu poetry contest). They popped on over the speakers to tell us about the history of all the places we were passing through, or to point out interesting landscapes or wildlife. I learned a lot more about Canada's rail history than I ever expected to on this trip! It's also nice not to have to worry about ANY details throughout the trip. You don't have to get to/from the train station on your own. You don't have to book accommodation along the way. You don't even have to worry about your luggage – in both Kamloops and Lake Louise, my bag was waiting for me in my room when I arrived! There's definitely something to be said for convenience sometimes. 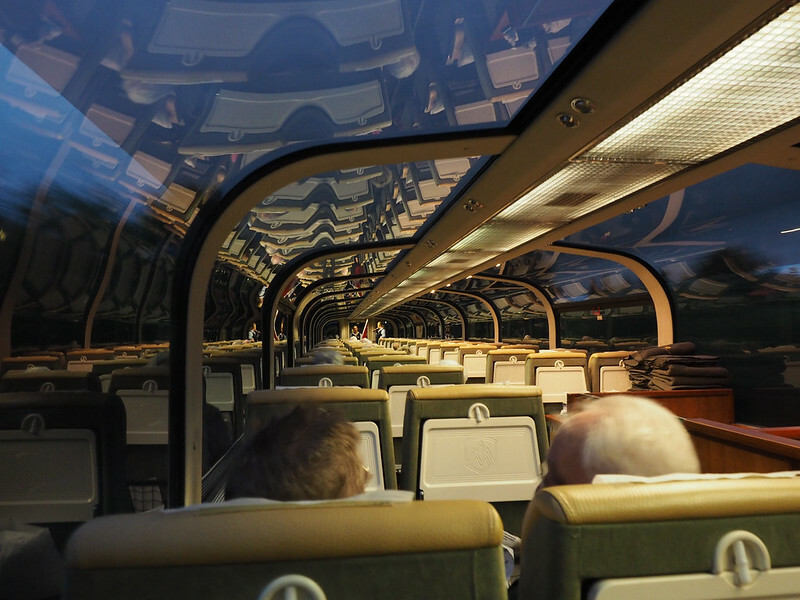 You'll probably also be wondering whether I think the Rocky Mountaineer is worth paying for. It's definitely something I asked myself before agreeing to go on this trip – because I never go on free trips that I wouldn't be willing to pay for myself. In the end, I decided that, yes, this IS something that I think is worth saving up for – if you have the means. 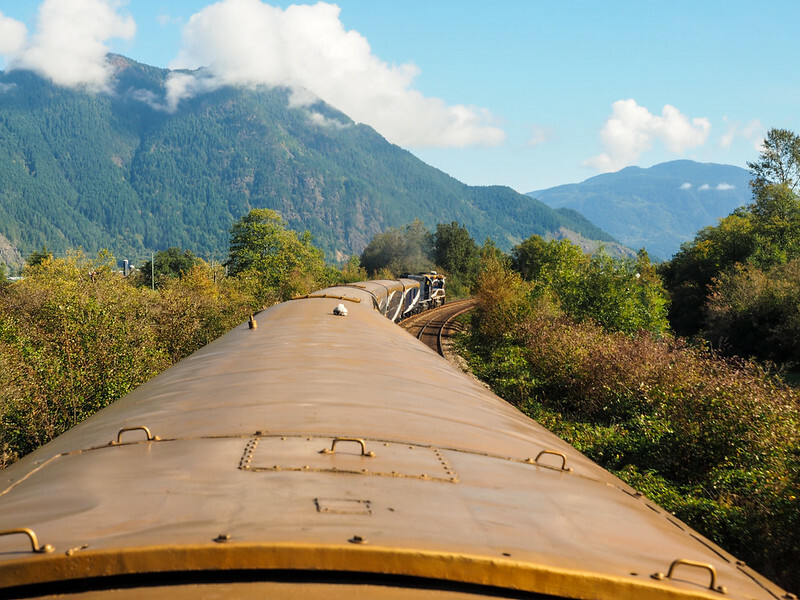 If you're a strict budget traveler who prefers the freedom of solo travel, then the Rocky Mountaineer probably isn't for you. But don't completely write it off – because I definitely know from experience that your travel style will change the older you get! So, if you're looking for a luxurious, comfortable way to see western Canada, the Rocky Mountaineer is for you. I think it's a train journey you'll remember for the rest of your life! 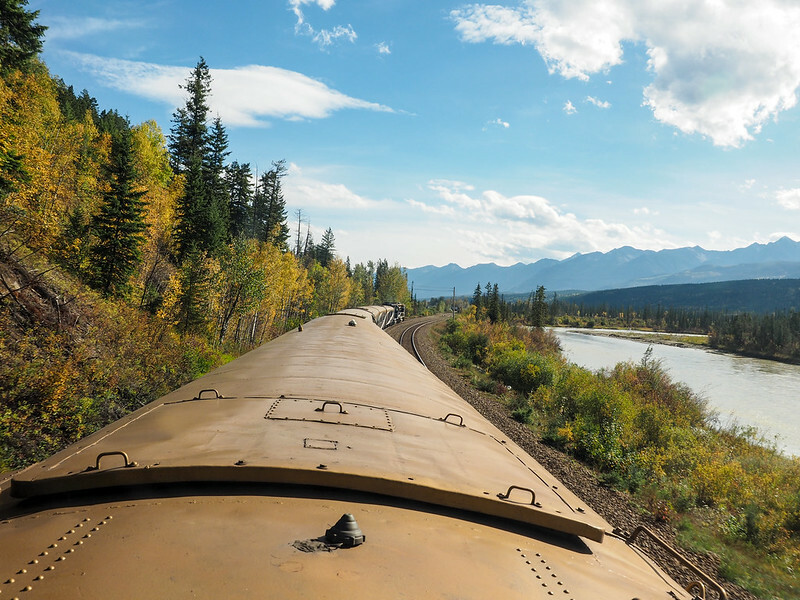 Is a train ride like this on YOUR bucket list? What other questions do you have? Yes I have no clue how I lucked out, but it was the perfect viewpoint for the whole trip! Wow, those Bond-But-Not photos are amazing!!! Only catch is apparently because the Rocky Mountaineer operates during the day, the via trains often pass through some of great scenery at night time (Alas!). Thanks for reading! 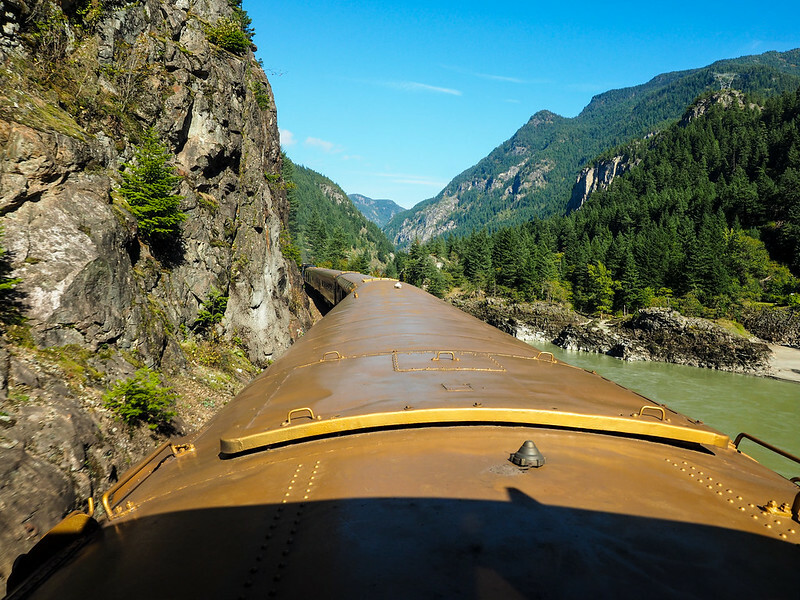 Hopefully it answers any question you had about the Rocky Mountaineer! Go for it! I thought it was definitely a trip worth saving up for! If there is one country that was never on my bucket list before I started reading blogs it was Canada. But all of the amazing photos and posts have really inspired me to go. I’m not quite ready to rush there yet but it is on the list! Haha, for a country with a relatively small population, you Aussies definitely do get around! I love it though! 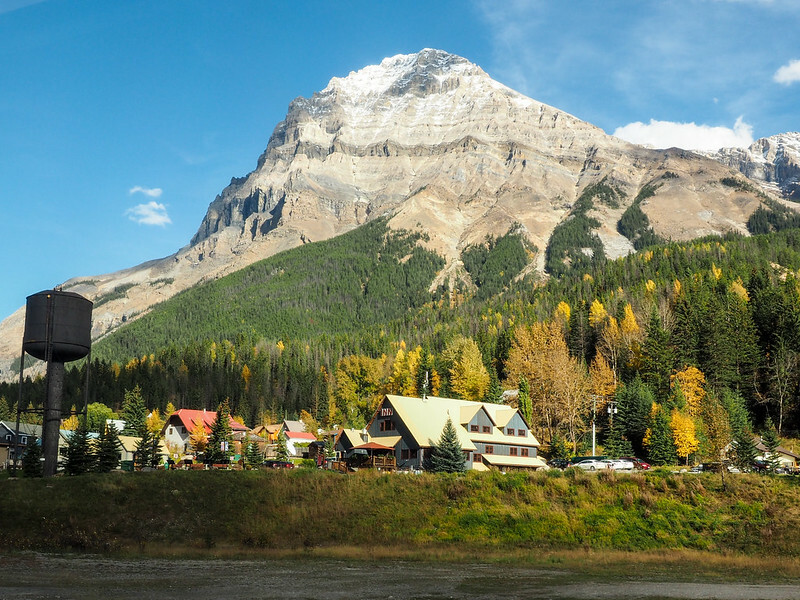 And yes, Canada probably isn’t top-of-the-list for a lot of travelers, but the reality is that it’s such a beautiful place (especially the Rockies)! 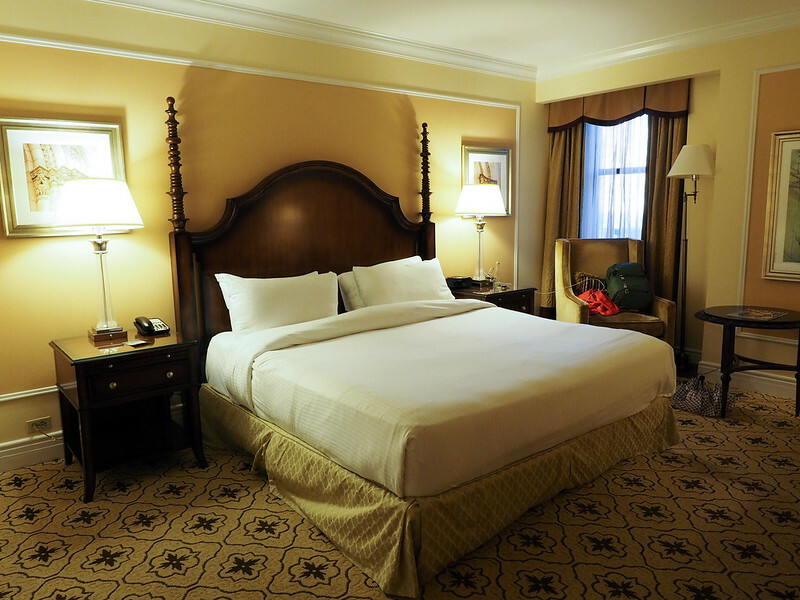 I LOVE the idea of train travel by day, but fancy hotel each night….the perfect combo! I think I’d want to get out and hike some of that scenery, but this really looks like a great trip! Beautiful photos! I definitely thought it was the perfect combo! Definitely a once-in-a-lifetime type of trip! These photos look marvellous and what a view. Wow! I would love to ride such a glam train but perhaps not in Canada but in Europe. I really want to do the Trans-Siberian. That would be brilliant LOL! There are so many awesome train journeys around the world! The Trans-Siberian definitely would be awesome. I would also love to do the Ghan in Australia! Wow, great post! This is definitely a trip I would love to do, so I really enjoyed your writing and all of the fantastic visuals. The Rockies are gorgeous – I would love to explore them via train. Thanks for sharing your experience! Undoubtedly an interesting experiences and as everyone else has shared, seems to be beautiful. I always wondering about the correlation between higher price-point and less activity. The services you highlight in the article appear to be professionally executed, but the experience seems to be more a passive rather than an active one. As a comparative, have you been on the Trans-Siberian? Nope, I haven’t been on the Trans-Siberian. But you’re right – this is definitely a more passive experience. No adventure sports or anything like that here! It’s definitely marketed to an older crowd. 😉 But then again, so were river cruises, and now those are becoming more and more popular with every age group! 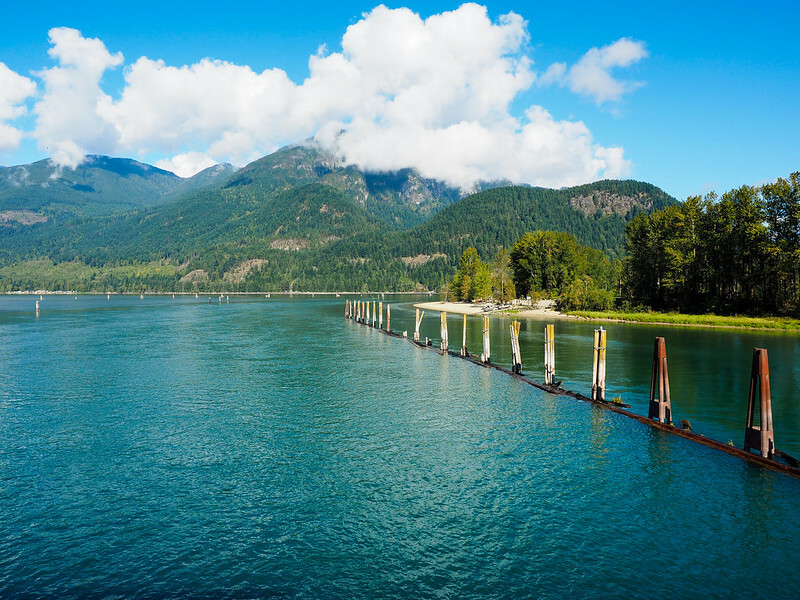 It’s definitely a luxurious way to see Canada – but certainly not the only way! Amanda, I’m planning a trip over in August. I’ve been told that it can get quite hot under the glass dome carriages that time of year. I’m hoping that if this is the case, that there is air conditioning on board. Then again, maybe what I’ve been told isn’t true. Can you advise. Hi Sonja! I went in September, and yes, it CAN sometimes get warm up in the dome cars if the sun is shining. (When the sun is out, they almost work like a greenhouse!) However, if you’re getting too warm/cold, you can let the staff know – they definitely can control the temperature. 🙂 Or, if you get too warm, you can always pop out onto the outdoor observation deck for some fresh air. I am on a walker, but active!! Is there handicap accesabilites ? Hey Sammye! Yes, some of the coaches are handicap accessible – the coach I was on had a little mini elevator that could take you from the seating area to the dining room if you have trouble with stairs. We’re getting ready to go on the gold leaf special 9/3 and appreciate all the comments! Enjoy! It’s such a beautiful journey! 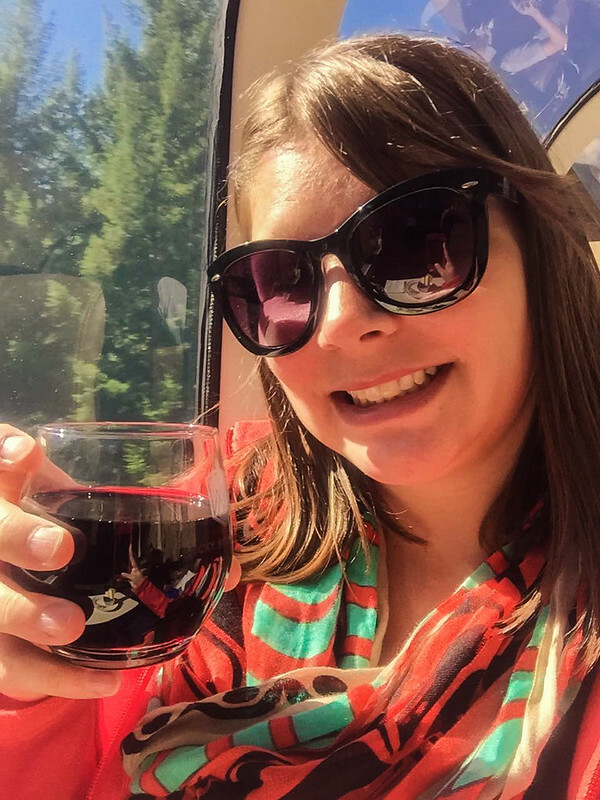 How did you get to go on a ~$4,000 Canadian Rocky Mountaineer Trip for Free as a Guest? I would love to do the same! What is the best side of the train to be seated? Would I be able to select where I sit prior to taking the trip? You mentioned being in the first car is best. They may have given you that car because you were going to write about it. Hey Lynda! To be honest, both sides of the train have great views! I was on the right-hand side, but also went up to the front and out on the observation platform to get photos from different angles. I’m late to this party but was really interested in your piece. Can you tell me if tipping is expected on this trip and, if so, what sort of money are we talking about? We are going in Sept 2018 and I was wondering if you packed for cold, warm or both! I am having trouble picturing what to bring! You won’t need winter gear really, but definitely pack for cooler weather! When I was at Lake Louise in later September, it was only in the high 30s/low 40s in the morning! You can lower the price of the trip if you want to travel Gold Leaf by choosing to take Silver Leaf accommodation. Ah, that’s a very good tip! I hope you have a great time! I found the above very informative about traveling on the Mountaineer. We will be going in June and can’t wait. Sounds wonderful!